This unusual, inventive story is about a boy that blends into his surroundings every time he gets scared. The themes this novel is built on are loneliness, a sense of belonging, and the need to be loved. 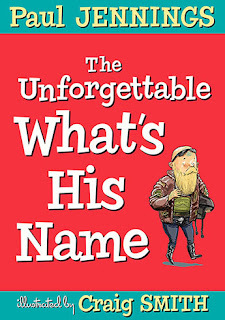 The boy, (we don’t learn his name until the end of the book) is called what’s his name by the terrible Gertag. He has mastered the art of being invisible. This ability is raised a notch when he literally becomes unseen as his skin and clothes change, and he becomes what he is closest to at the time of his fear. His father left him and his mum when he was three. His dad’s reason for leaving was his own fear, and the shame that came with it. The boy longs to find him, and thinks about him constantly. This abandonment appears to be the cause of the boy’s shyness, sadness and his inability to make friends. The story full of action, involves a dog with no ears and different coloured eyes, a bikie gang, and the escape of all the monkeys from the zoo enclosure. Odd happenings that cause chaos, lots of chases that add humour, and an element of sadness. Craig Smith’s wonderful black and white illustrations fill the book and greatly enhance the story. The atmosphere of black and white is interrupted by double spreads of full page coloured illustrations without accompanying text. This uplifting sequence of colour reflects a feeling of hope and anticipation. 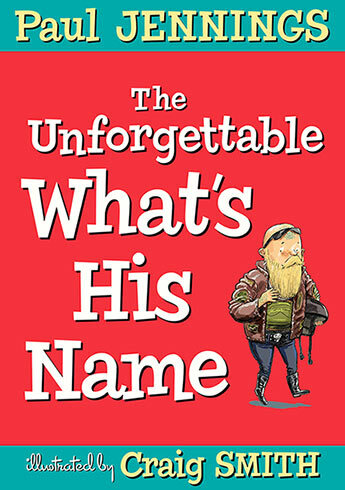 It’s ideal for reluctant readers, particularly boys who like bizarre and challenging content in books.